On April 11, 2019, Stephen M. Cohen and Thomas J. Hall lectured at a seminar for Kiska Construction Inc. entitled “Best Practices for Incident Investigations,” in Long Island City, New York. On March 28, 2019, Stephen M. Cohen and Thomas J. Hall lectured at a seminar for E.C.C.O. III Enterprises, Inc. entitled “Best Practices for Post-Accident Investigations,” in Yonkers, New York. On March 20, 2019, Thomas J. Hall presented at Grace Industries LLC/Haugland Energy Group LLC’s seminar entitled “Best Practices for Post-Accident Investigations,” in Melville, New York. On March 12, 2019, Stephen M. Cohen and Thomas J. Hall presented at Northeast Structural Steel’s 2019 Safety Meeting the program entitled “Best Practices for Incident Investigations,” in Dobbs Ferry, New York. In a decision dated February 28, 2019, the Hon. Kathryn E. Freed granted our clients Metropolitan Transportation Authority, New York City Transit Authority, MTA Capital Construction Company, Hudson Yards Development Corporation and the City of New York summary judgment dismissing plaintiff’s complaint in its entirety including those causes of action for common law negligence and violations of Labor Law §§200, 240(1) and 241(6). The plaintiff, a 33-year-old ironworker injured when the dumpster he was attempting to roll out of the way tipped over, allegedly causing permanent and disabling injuries. In dismissing the common law negligence and Labor Law §200 claims, the Court determined that none of the defendants created a dangerous condition, that they had notice of a dangerous condition at the premises or that they actually exercised supervisory control over the plaintiff’s work. The §240(1) claim was dismissed because at the time of the accident, the plaintiff was at the same elevation as the dumpster he was trying to move. Second, there was no evidence that the dumpster tipped over because of the absence or inadequacy of a safety device of the kind enumerated in the statute. Instead, the plaintiff’s allegations and testimony establish that the accident occurred due to the weight of the dumpster while he was pushing it across the plywood on the platform and when another worker began pushing the dumpster against him. Regarding the §241(6) cause of action, the Court held that the Industrial Rules cited by plaintiff were either not sufficiently specific to support a violation of §241(6), not factually relevant to the facts of the case or were not violated. 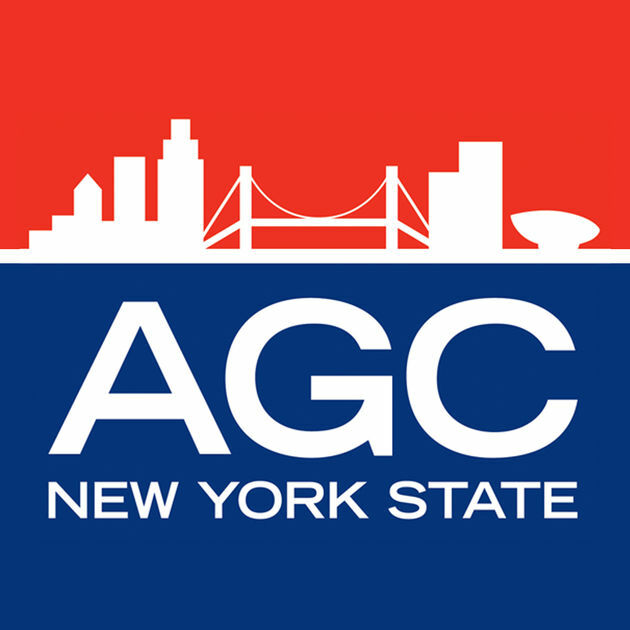 In a decision entered February 14, 2019, the Appellate Division, First Department, unanimously affirmed the granting of summary judgment to our clients, the City of New York (“City”) and the New York City Department of Transportation (“DOT”), dismissing the plaintiff’s remaining causes of action pursuant to Labor Law §§240(1) and 241(6). In the lower court’s decision entered on August 9, 2017, Justice Lucy Billings granted the City and DOT summary judgment dismissing the plaintiff’s complaint in its entirety. Plaintiff sought damages for personal injuries allegedly sustained on May 17, 2010, when his left foot slipped off a rung then fell two rungs down before catching on the third rung down as he was descending a 20-foot extension ladder. 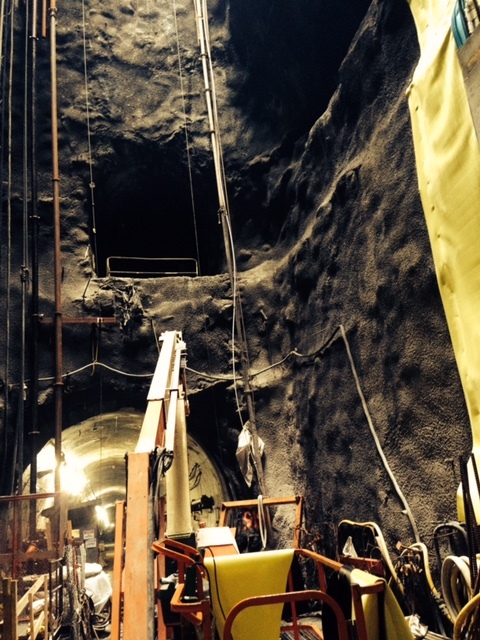 After the close of discovery, the defendants moved for summary judgment seeking to dismiss the plaintiff’s complaint on the grounds that his fall from an allegedly “steep” ladder was not caused by the City’s and the DOT’s negligence or any violations of Labor Law §§200, 240(1) and 241(6). Plaintiff argued that the subject ladder was too steeply pitched, in violation of Labor Law §§240(1) and 241(6) premised upon Industrial Code Rule 1.21(b)(4) (which states that “a ladder shall be inclined a maximum of three inches for each foot of rise”). In granting the motion of the City and DOT, Justice Billings found that plaintiff’s argument “defie[d] the plain language of the regulation, physics, math, common sense” in that both his counsel and expert misread the regulatory language as being a minimum requirement, when it was a maximum requirement for the incline or pitch of the ladder. Justice Billings then confirmed that plaintiff’s expert failed to cite to any industry standards delineating the correct pitch of a ladder. The plaintiff then appealed to the First Department on the causes of action pursuant to Labor Law §§240(1) and 241(6) only. On appeal, the First Department held that there was “no viable Labor Law §240(1) claim where, as here, ‘plaintiff simply lost his footing while [descending] a properly secured, non-defective extension ladder that did not malfunction'” (citation omitted). As to the Labor Law §241(6) claim, the First Department determined that because “the ladder was placed in compliance with 12 NYCRR 23-1.21(b)(4)(i), dismissal of the Labor Law §241(6) claim was warranted”. In a decision dated January 4, 2019, the Hon. Barbara Jaffe granted our client the defendant Port Authority of New York and New Jersey’s pre-answer motion to dismiss plaintiff’s causes of action pursuant to Labor Law §§240(1) and 241(6). The plaintiff, a Local 361 iron worker employed by Skanska/Walsh Joint Venture, claims he was injured while working at the Terminal B Project at LaGuardia Airport in Queens, New York, when a 2,000 lb. steel beam allegedly tipped over and fell and knocked him to the ground, pinning him underneath it onto a stack of beams. In reaching its decision to dismiss the Labor Law causes of action as against the Port, the Court noted that the Port is an interstate entity created by compact and is not subject to New York’s Labor Law. As a bi-state agency immune from regulation by a single state, New York’s Labor Law cannot apply to the Port absent indication that New Jersey has enacted a similar law concurrently with the enactment of New York’s law or that the law states expressly that it is intended to apply to the Port. Finally, the Court determined that the statutory waiver of sovereign immunity does not alter this result. In a decision dated January 9, 2019, the Appellate Division, Second Department, affirmed the granting of summary judgment to our clients, The City of New York, New York City Department of Transportation, and E.C.C.O. III Enterprises, Inc., dismissing the plaintiff’s complaint in its entirety. The plaintiff sought damages for personal injuries allegedly sustained by the decedent, a bicyclist who was riding to work on Queens Boulevard, when the decedent was struck by a vehicle. The plaintiff alleged that the decedent was struck and killed by a motor vehicle exiting the westbound exit ramp of the Van Wyck Expressway in Kew Gardens, New York and that the defendants were negligent in the maintenance, operation, ownership, management and control of the roadway and exit ramp. In dismissing the plaintiff’s complaint, the lower Court found that the hypothesis of the plaintiff’s engineering expert that the vehicle which struck the decedent entered Queens Boulevard from the Van Wyck Expressway was based purely on speculation of a material fact, had no probative value and could not be used to defeat summary judgment. The Second Department agreed with the lower Court’s reasoning and affirmed the dismissal of the plaintiff’s action against the defendants. In a decision dated January 4, 2019, the Hon. Lucy Billings denied the plaintiffs’ motion for a protective order and to quash the defendants’ (our clients’) subpoena duces tecum served upon IME WatchDog, Inc. for all records pertaining to the injured plaintiff’s examinations by the defendants’ physicians. 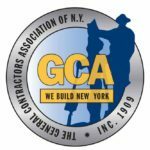 The plaintiff, a local 28 union tin knocker/sheet metal worker employed by Tishman Construction Corporation of New York subcontractor Heritage Mechanical Services, alleges that he sustained personal injuries while engaged in ductwork and HVAC unit installations at a construction project. In the plaintiffs’ motion to quash, they argued that IME Watchdog’s records were protected from discovery by the attorney work product privilege (CPLR § 3101(c)) and as materials prepared for litigation (CPLR § 3101(d)(2)). In opposition, the defendants argued that the attorney work product privilege does not attach because IME WatchDog employs non-attorney representatives whose services are not necessary to facilitate attorney-client communications. The defendants also argued that these records are not immune from disclosure as material prepared in anticipation of litigation because the plaintiffs anticipated calling IME WatchDog representatives as trial witnesses and, as such, these records are relevant and subject to disclosure, pursuant to CPLR § 3101(d)(4). The defendants also argued that the plaintiffs failed to establish any special and unusual circumstances for transcribing the examinations, which would have required prior court approval, and that any such recordings are subject to disclosure, pursuant to CPLR § 3101(i). The Court held that, because the IME WatchDog representative who appeared at the examinations was not serving as the plaintiffs’ attorney, the records were not protected by the attorney work product privilege. The Court also held that even though the records constituted materials prepared for litigation, they were subject to disclosure because the defendants established that the recorded observations of the IME WatchDog representatives could not be obtained from any other source. Therefore, the Court held that non-party IME WatchDog was compelled to provide its records because they are relevant to the defense of the action. We are pleased to announce that Scott L. Glazer has become a Partner of the firm.